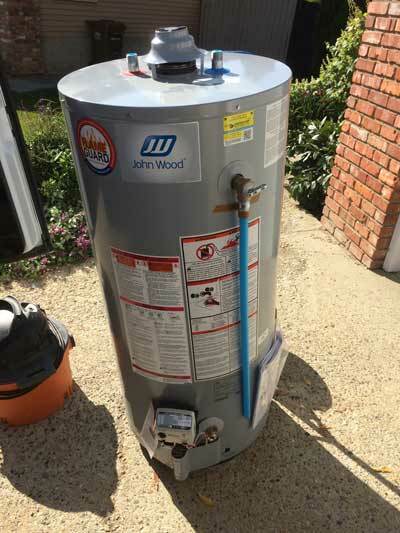 Alberta Water Pros is the leading Edmonton Water Heater Installation specialists and will leave you with hot water after we chat with you. With the harsh weather in Edmonton, hot showers can be one of life’s simple pleasures. On the other hand, a cold shower can be the start to a very long day. Heaters come in different shapes and sizes and also different configurations. We can let you know which heater will be perfect for your particular situation after we have a chat with you. Bigger is not always best, and sometimes it can be a total waste of money. There are five types of water heaters. 1. Standard Conventional Water Heater The conventional heater has a standing pilot flame and a draft hood for the exhaust connection. It’s the most inefficient type but highest selling type for replacements. 2. Power Vented type Has a motor that pushes out the exhaust through a PVC vent to outdoors. Considered a mid-efficient type. 3. Power Direct Vent Has a motor that pulls air in from outside through a PVC intake cent and pushes exhaust outdoors through another PVC vent. This type of tank is high efficient. 4. Tankless Wa ter Heater Same as the power direct vent except does not store the water, makes it on demand which gives it a higher efficiency rating. It is also considered highly efficient. 5. 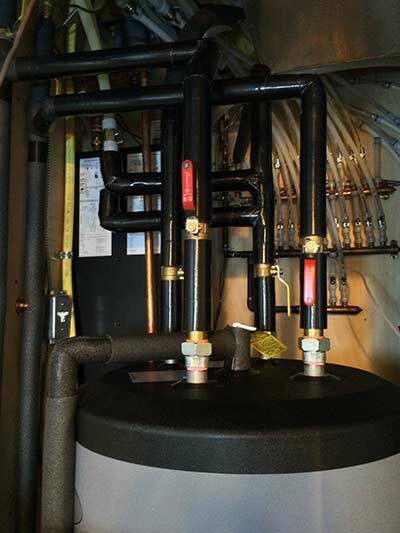 Indirect Water Heaters Uses boiler, heating water to heat a coil inside a storage tank controlled by an aquastat control that controls the pump. Usually found incorporated into a hydronic (radiant) heating system for domestic hot water in a home. It is 100% separate from the heating/boiler water. This is the most efficient way next to Solar hot water which we do not install. The installation is the part that people struggle with when they decide to do the work themselves. We can install the heater in the best location and ensure that it’s optimized to provide the best results, whether it’s the wall mounted model or a model that sits directly on the ground. Once the heater is set up, we can connect current plumbing to it or can install brand new plumbing. As we are in Edmonton, there is no question that hot water is of pure importance. Call Alberta Water Pros and get your heater questions answered by professionals.